DVI-D to VGA Converter Active. Complete Digital to Analog Converter with Enhanced EDID for Monitor Identification. Simple solution works great for PC Resolutions up to 1920x1200. Supports Seperate Sysn and Sync on Green for VGA Output. Has optional Power Port that us usuall not needed for most applications. Works on All operating systems that we have tested it on No Drivers Needed. 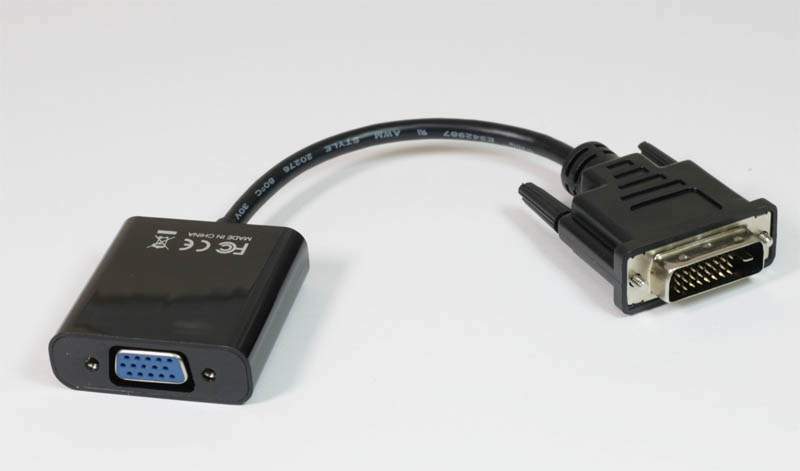 Finally a Real solution to use the Older VGA Monitors on high end DVI Outputs.